Spread some holiday cheer with a Christmas party at Lester's Farm Chalet! 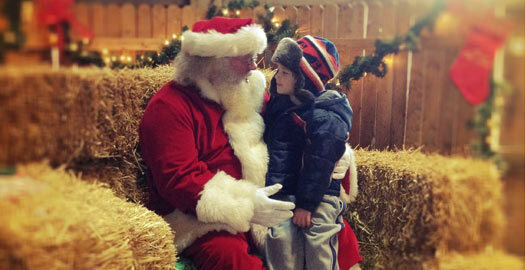 Our brrr-illiant Children's Christmas Parties on the farm capture the magic of the holiday season! Grab a hot cup of hot chocolate, decorate a cookie, open your gift. Head outside and a horse-drawn sleigh ride, and visit the petting barn. To secure your reservation, we require a deposit of $250.00. This is payable via credit card. Meal options are an additional cost, and are listed below.